Background/Purpose: Interstitial lung diseases (ILD) are a group of illnesses that often complicate connective tissue diseases (CTD) such as rheumatoid arthritis (RA) or systemic sclerosis (SS), but the lung is the only affected organ in the idiopathic pulmonary fibrosis (IPF). Nonspecific interstitial pneumonia (NSIP) is the more frequent form in SS while usual interstitial pneumonia (UIP) predominates in RA patients and in the IPF form. ILD are one of the most important causes of mortality in CTD, but evaluating their prognosis remains difficult. Some studies suggested that 18-FDG-PET/CT could help to detect zones of activity in lung tissue in IPF and this in turn could predict the progress of the disease, but the results are inconclusive. Moreover, little is known about the value of 18-FDG PET uptake in ILD associated to RA or SS. The purpose of this study is to evaluate the predictive value of 18 FDG-PET/CT scan images in functional pulmonary progression of ILD associated to RA or SS. We conducted a 12 month prospective observational study on patients diagnosed with ILD associated to SS or RA between January 2015 and May 2017. ILD diagnosis was based on clinical assessment, pulmonary function tests (PFTs) and expert HRCT evaluation. This study was approved by the ethic research committee of our institution, and a formal written consent was obtained by all patients. We performed three visits: basal, 6 month and 12 month visits. On all visits a general exploration, forced vital capacity (FVC) and diffusing capacity of the lungs for carbon monoxide (DLCO) were carried out. On basal and 6 month visits a 18 FDG-PET/TC were performed within a period of three months from the PFTs. The patients selected continued with their treatment (corticosteroids, DMARDs or immunosuppressants). The nuclear medicine physician identified the maximum and mean standardized uptake value (SUVmax and SUVmean) in the three areas with the most FDG uptake, and adenopathies uptake. PET/CT images were reviewed by 2 combined radiologist/nuclear medicine physicians in consensus. Results: We included 17 patients, 10 had UIP associated with RA and 7 NSIP related to SS. It appeared that RA patients had longer lung illness evolution and worse FVC than SS patients (table), in spite of not having found statistical differences. We detected significant statistical relation between the highest SUVmax and FVC (p=0.009) or DLCO progression (p=0.006) in SS patients, independently of the basal FVC and DLCO, and duration of lung illness in a multivariable linear mixed model. We didn´t find any relation between SUVmax and FVC or DLCO progression in RA patients. In our cohort of patients with SS, 18 FDG PET/TAC can aid in predicting the progression of ILD associated disease, which does not occur in RA patients. Disclosure: J. J. Fragio Gil, None; J. Ivorra Cortes, None; M. Martinez Frances, None; J. L. Loaiza Gongora, None; J. J. Alegre, None; M. Garijo Bufort, None; S. Herrera Lara, None; I. Chalmeta Verdejo, None; L. Gonzalez Puig, None; R. Negueroles Albuixech, None; C. Alcañiz Escandell, None; K. Arevalo Ruales, None; I. Canovas Olmos, None; C. Feced Olmos, None; R. Gonzalez Mazario, None; E. Grau Garcia, None; E. Labrador Sanchez, None; I. Martinez Cordellat, None; C. Najera Herranz, None; J. E. Oller Rodriguez, None; F. M. Ortiz-Sanjuán, None; E. Vicens Bernabeu, None; M. De la Rubia Navarro, None; D. Hervás Marín, None; J. A. Roman Ivorra, None. Fragio Gil JJ, Ivorra Cortes J, Martinez Frances M, Loaiza Gongora JL, Alegre JJ, Garijo Bufort M, Herrera Lara S, Chalmeta Verdejo I, Gonzalez Puig L, Negueroles Albuixech R, Alcañiz Escandell C, Arevalo Ruales K, Canovas Olmos I, Feced Olmos C, Gonzalez Mazario R, Grau Garcia E, Labrador Sanchez E, Martinez Cordellat I, Najera Herranz C, Oller Rodriguez JE, Ortiz-Sanjuán FM, Vicens Bernabeu E, De la Rubia Navarro M, Hervás Marín D, Roman Ivorra JA. 18 FDG PET/CT Predicts Decline in Functional Respiratory TESTS in Systemic Sclerosis Patients but NOT in Rheumatoid Arthritis Patients [abstract]. Arthritis Rheumatol. 2017; 69 (suppl 10). 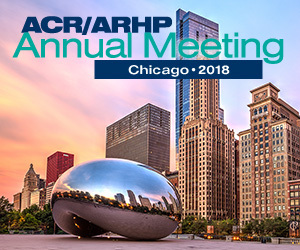 https://acrabstracts.org/abstract/18-fdg-petct-predicts-decline-in-functional-respiratory-tests-in-systemic-sclerosis-patients-but-not-in-rheumatoid-arthritis-patients/. Accessed April 20, 2019.